Maria Thun has developed Barrel Preparation/CPP/Fladen, a 'manure concentrate', as an intensification of the compost and 500 preparations to assist the the conversion of organic matter. Thus it is used when manures are spread or green manures are worked into the soil. It introduces basalt and eggshells alongside the compost preparations in the manure. This has been thoroughly tested when made at different aspects of the sidereal Moon. Max-Karl Schwarz developed the 'birch pit preparation' for biodynamic agriculture to activate humus building in compost heaps and slurry pits. 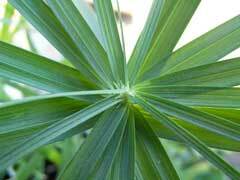 It has also been used directly on plants with 'increasingly good results'. In the 1930s, Ehrenfried Pfeiffer made his 'starter' from 56 strains of microbe cultured with the BD preparations as a compost and soil inoculant. Mäusdorfer preparation is a dried mixture of the birch and barrel systems mentioned above. It is used to improve the fermentation process in all organic residues. Donna LaPre has made flower essences fro the Earth which she calls 'Earth Essences'. Elizabeth Backhouse has made a series of preparations culminating in VitaFons II - a numinous essence with formulations for the land. Barbara Scott has made a series of 5 essences for the Earth. Bach Flower remedies can be accessed here. There is some work being done in South America which I hope to know more about soon. Considera would love to be informed of other preparations.